Your donation to MizzouThon goes above and beyond to support the University of Missouri Women's and Children's Hospital. MizzouThon is proud to financially support multiple programs offered through the Hospital that are essential to ensuring our Miracle Kids have the best care possible. Learn more about the various programs your donations support below. 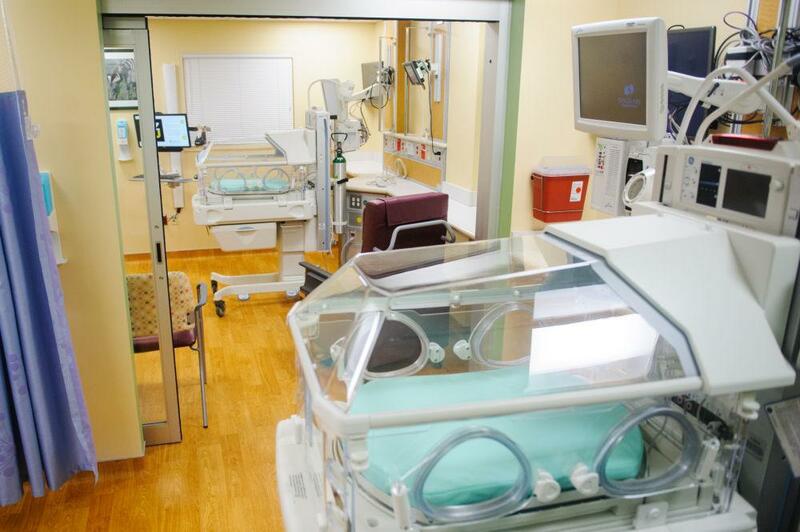 In 2014, we signed a $1 million pledge to fund the renovation of the largest Neonatal Intensive Care Unit (NICU) in mid-Missouri. We view this as way to ensure a bright future for not only these tiny patients as individuals, but a bright future for our world, as these children are our future leaders, educators, innovators and caretakers. In 2018, we accomplished an amazing feat by completing the pledge an entire year early. This could not have been possible without the strength and support from our Miracle Families, our members, our donors and our alum. Although the pledge is completed, we will continue to support the MizzouThon NICU, so that every child has the right to be a kid. We are proud to fully support the salary of the MU Children's Hospital Music Therapist, who uses music to connect with patients and their families during their stays at the hospital. Music Therapy is used to promote the patient's recovery through singing, movement to music, songwriting, or passively through listening and relaxation. Music Therapy is a helpful tool for the Children's Hospital to address needs of patients including energy and physical movement, emotional support and expression, developmental needs, and sensory stimulation. The Telehealth Love and Care (TLC) program allows parents and guardians to see their babies born prematurely in the Neo-Natal Intensive Care Unit (NICU) through the use of free video monitors. Because of our contributions and contributions like ours, the TLC Program is completely free of charge for parents and guardians wishing to have access to this ability. The Children's Blood Disorders and Cancer Unit (CBCU) offers children a unique, state-of-the-art medical center for their diagnostic and clinical needs. This includes compassionate and understanding care during chemotherapy treatments, bone marrow aspirations, lumbar punctures, or MRI and CT scans. The talented staff of physicians, surgeons, nurses, and others ensure a supportive environment for the children and their families during their stay.